This sale is for one used marine fuel line for Mercruiser stern drives. The Mercury part number is 32-76312A1. 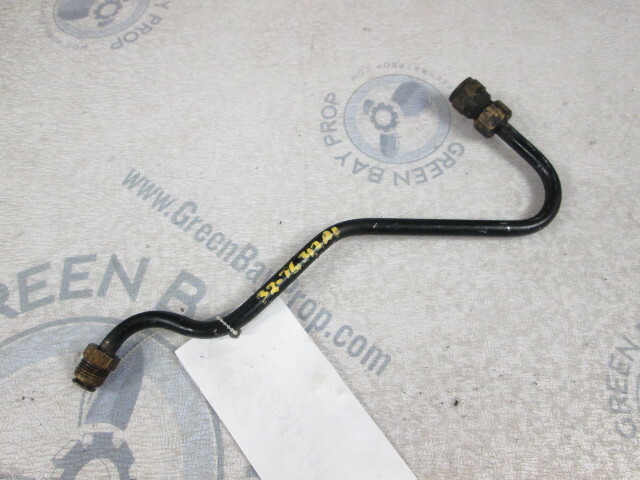 This Mercruiser fuel line is not damaged, bent or corroded but it does have some paint missing. 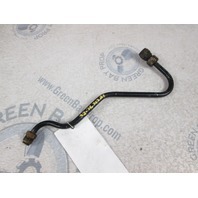 You will receive one used fuel line in great working condition. This is a salvaged stern drive part from freshwater Wisconsin. This fuel line fits some Mercruiser 224 470 stern drives from 1983 to 1984 with the fuel pump that has the filter facing up. Please research your application or email us with your model's serial number and we can check for you. We may have more than one of this part in stock so you might not receive the exact one in the pictures but will receive one as described. Thank you for shopping at GreenBayProp!! We accept Visa, Master Card, Discover Card, and Pay Pal. Notes: Used & Guaranteed Good Condition!